There’s been a definite meme at work this week. I’ve heard it at training sessions, I’ve had emails, I’ve read posts, and had phone calls all about people having trouble with getting EX1 footage into their system. 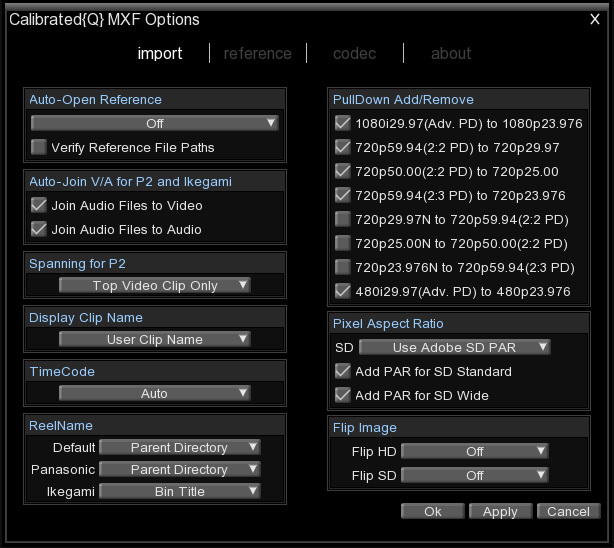 Of course, XDCAM Transfer does a great job – check out my tutorial in the How-to section above. But some people have been, well, ‘playing’ – doing things that perhaps they shouldn’t. And suddenly there’s an EX1 card with stuff they can’t view, can’t edit, and haven’t backed up. Essentially, it promises that you can edit the native EX1 files, even if the magic structure of your SxS or P2 card has been mangled out of shape. It promises you can rescue your ‘orphan’ video clips – no bad thing, but hopefully people accept that SxS (or equivalent) cards are like your negatives, your original film. Best not muck around with them too much. But I digress. Whether this is a codec or a way of generating QuickTime wrappers on the fly remains to be seen, but basically the idea is you can shove the mp4s directly into Final Cut and start editing – straight off the SxS card if necessary.